Before taking to the water to explore the reefs and shipwrecks of Key West, first time divers or even return visitors looking to brush up on their skills should consider taking some formal instruction. 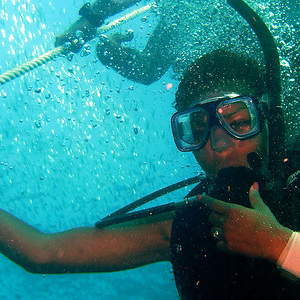 For novices looking to go diving Key West offers a range of classes that teach basic scuba diving skills, a safety step essential to enjoying the myriad of beautiful diving options Key West has to offer. These classes are relatively quick and painless, but ensure that anyone setting out to explore Florida's marine environments can do so safely. 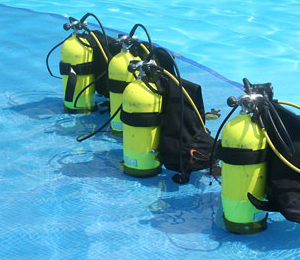 There are basic single day safety courses, also known as resort dives, which many tourists opt to take. For those only planning on diving once or who are unsure of whether they want to invest the time to get certified, this type of class is all visitors need to be able to go diving with most companies. However, since it is not a full certification class, those who opt for this type of instruction will still need to be in the company of a fully qualified diver when they actually set off into the ocean and will be limited in the places they can go. This type of class will include at least a couple hours of classroom time, several practice dives into a swimming pool, and then finally a swim in the ocean to a safe, relatively shallow spot. While it may result in more limited dive options, it is a great choice for anyone who isn't sure they'll want to go again or who decided to go diving on the spur of the moment. This is a much more time intensive course. If done on-site it can be crammed into three or four full days, at the end of which a diver will have their certification and be qualified to not only dive alone but to dive in deeper and more challenging locations. 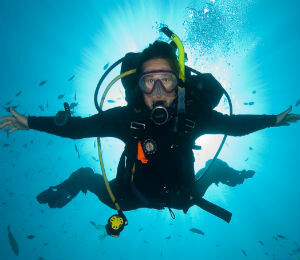 That is not to say that novice divers shouldn't still be careful, but this type of class provides a very solid grounding in the safety rules and diving skills that all serious divers need in order to be able to explore the ocean. However, it is very time consuming and for those only visiting Key West for a few days, it may not be a realistic option. Rather than cram a certification course into one vacation, it is possible for future divers with foresight to plan ahead. Many people decide to get certified long before they find themselves on a beach, and they do the classroom part of their certification class prior to ever leaving their home city. The length of time this takes varies, but as it is a less compressed timetable it may be several weeks of classes at just a couple hours per week. Then, all that is left to do once in Key West is to complete the practical portion of the course. 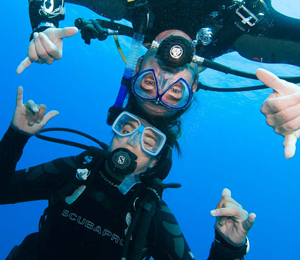 This insures that not only can visitors get certified to dive on-site, but that they do not spend a large chunk of their vacation time sitting in a classroom or studying. For anyone who has the time or who is naturally organized, this is the preferred route to take to the perfect underwater adventure.